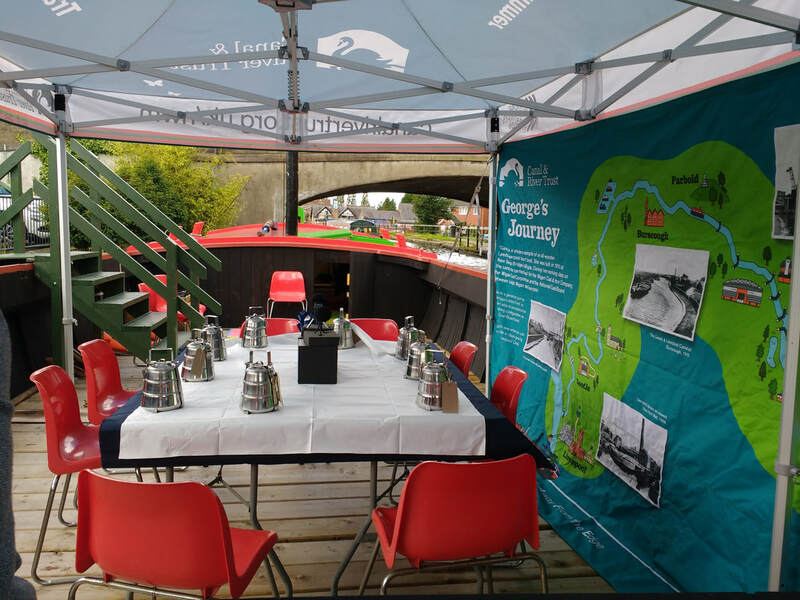 Built by the Wigan Iron & Coal Co in 1910, George survived as the last Leeds-Liverpool wide boat and from the 1970s rested at the National Waterways Museum in Ellesmere Port. In 2016, with HLF funding, she was rebuilt and in 2017 re-launched to trace her journey along the same waterway she had plied her black diamond cargo along so many years ago, this time engaging with local communities, groups and individuals along the way. Brought to life by a collaboration between artists Jeni McConnell and Jacqui Priestley, Dining Out on George took place as George paused along the Leeds-Liverpool canal during the summer of 2017. 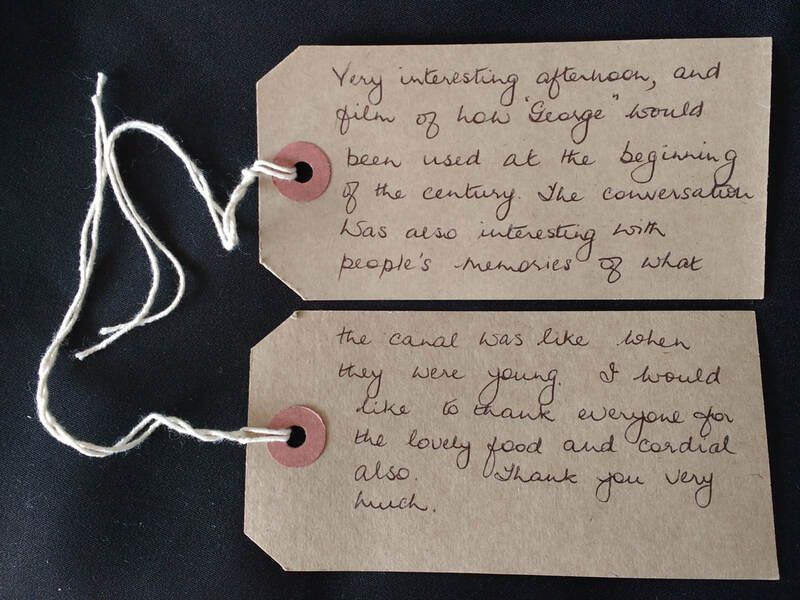 Each invited event engaged people who had personal memories and even direct experience of working boats such as George. 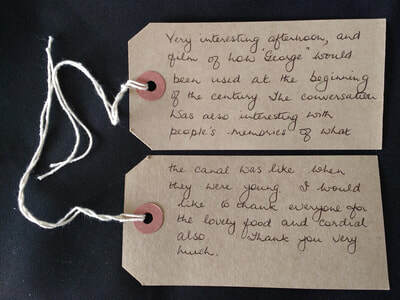 The showing of a short film in George's aft cabin with images and footage of working boats carrying coal and other cargoes sparked the recall of many wonderful memories and the conversation that ensued was recorded and added to the archive. Guests were then invited to eat traditional food at a meal table laid out on the boat, which sparked even more conversation. 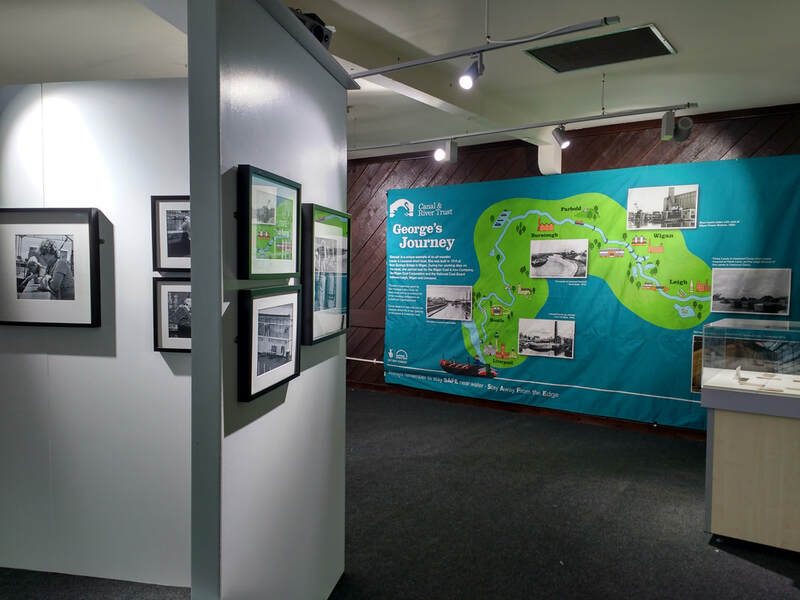 ​National Waterways Museum, Ellesmere Port, until January 2018.